HF: It was with interest that I was told recently that Sir Jack Cater began his career in Hong Kong in 1946 as a cadet officer in the Fisheries Department, held various related posts and became Director of Agriculture and Fisheries in 1964. In February 1974, he was appointed first Commissioner of the Independent Commission Against Corruption (ICAC) by Governor MacLehose following the flight of Police Superintendent Peter Godber. And it is for this, I suppose, that he will most remembered. We have a number of articles about a wide range of agricultural and fisheries subjects, some of which are linked below. If anyone can supply further information about the first two organisations mentioned below I would be delighted to hear about them. Cater was born on 21st February 1922 and died on 14th April 2006. “For many generations we and our ancestors have lived in Hong Kong, earning our living through fishing. Throughout much of this time, we have been looked down upon and despised by the land people, possibly because we were poor and uneducated. This was the position when Mr Cater became Officer-in-charge of Fisheries. Since that time he has become Registrar of Co-operatives and Director of Marketing, and through his able and kind administration the status of the fisherfolk has continually improved and the prejudice against us has disappeared under his benevolent, democratic and altruistic policies. IDJ has sent an obituary from which the following has been extracted: During the [Second World] war he had put his name down to do administrative work in overseas war zones at the close of hostilities; he was originally ordered to Singapore, but was redirected to Hong Kong, where he joined the Military Administration in November 1945 with the rank of Squadron Leader RAFVR. His first assignment was the revival of the colony’s fishing industry: he was involved in the mechanisation of the fleet (previously made up of sailing junks), the establishment of the Aberdeen Fish Market and the creation of successful sales co-operatives for fish and agricultural produce. He developed a particular affinity with the proud, self-reliant Hoklo fishing families, and helped set up schools for their children. …Cater was Chief Secretary [of Hong Kong] from 1978 to 1981. With a rapidly growing economy, it was a golden era for Hong Kong. 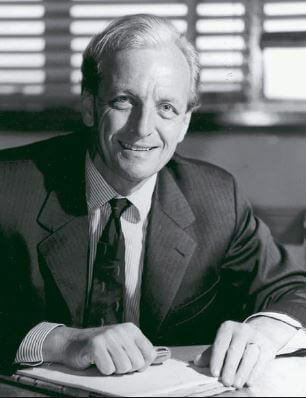 Cater was several times Acting Governor, and was in line to succeed Maclehose in 1982; but Margaret Thatcher was persuaded to appoint a senior diplomat, Sir Edward Youde, to commence negotiations for the eventual handover to China. Instead Cater became Hong Kong’s Commissioner in London until 1984. He then returned to Hong Kong to work in the private sector, joining China Light & Power Co – the electricity generator for Kowloon and the New Territories – and becoming head of Hong Kong Nuclear Investment Co, which was China Light’s participation with Beijing in a nuclear power station venture at Daya Bay in Guangdong province. Many Hong Kong residents were concerned by the risks of a nuclear plant so close to the border, but Cater was the project’s vigorous defender.